During Pandora’s development of its advertising model, we have tracked the development of its local sales organization spread across dozens of city markets. With less publicity, Pandora is also building an in-house creative advertising team that works with agencies and advertisers to build customized messages, programs, and productions to connect brands with targeted groups of listeners. The effort leverages a combination of media creativity and data knowledge. 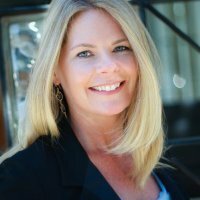 To get a better picture of how this works, and some examples, we spoke with Heidi Browning, Pandora’s SVP of Strategic Solutions. She works with chief marketing officers and ad agencies on ideas for what she calls “innovative ad experiences.” Those experiences seek to glue a brand’s image to the favorite music of active Pandora listeners. Throughout our conversation, Heidi Browning spoke of CMOs and agencies as “partners.” The words custom, experience, and creative were among her most-used terms. We were curious about the creative team inside Pandora which fashions ad campaigns. We learned that is has grown 70 percent over the last year, to 60 people, and has developed 7,000 audio spots for advertisers. The creative team was built with an eye to specialization — display and visual presentations, mobile experiences, audio. “We’re here to augment what the agencies provide,” Browning said. We asked about the migration of listening to mobile, and how that affects the creative needs of advertisers who might be attached to big displays available in Pandora’s web app. For Browning, the trend toward mobile is an opportunity to unlock Pandora’s real power. “We think the most powerful form of advertising is audio. Mobile is fueling what we think of as a renaissance of audio creative. We call it ‘building the sound of your brand.’ We bring the sound of your brand to life. Sometimes that appeals to a particular audience demo an advertiser is interested in engaging.” Gatorade and Taco Bell were two examples Heidi Browning reeled off, but a more elaborate case study of brand integration with Pandora’s range of resources is Toyota. With Toyota, Pandora tied the car company to certain music artists, and developed a “halo effect” based on Toyota’s affiliation with fans, based on Pandora’s user data. One example was electronic-music artist Tokimonsta, around whom Pandora’s creative team built an episodic video series in the artist’s home (“She had her cat in the room, the whole nine yards”), produced studio sessions with other musicians, and mounted concerts in markets where (again, according to Pandora data) Tokimonsta was rampantly thumbed-up and saved as a station. Pandora also uses a Sponsored Playlist opportunity for bringing brands in front of audiences in a native way. Heidi Browning mentioned Pier One, and Taco Bell as examples of sponsored playlists. these listening experiences are accompanied by display presentations. We looked at a music station sponsored by Bacardi, called Bacardi Loud & Untameable. Browning explained that in this case, the sponsored station is a vehicle for video music assets Bacardi already owned. The front-end experience is an audio station like other Pandora sponsored stations, with video included as an option. A Pandora initiative called the Promoted Stations platform helps surface branded listening experiences to Pandora users. That platform is partially rolled out to Pandora users, but most of them don’t see it yet. 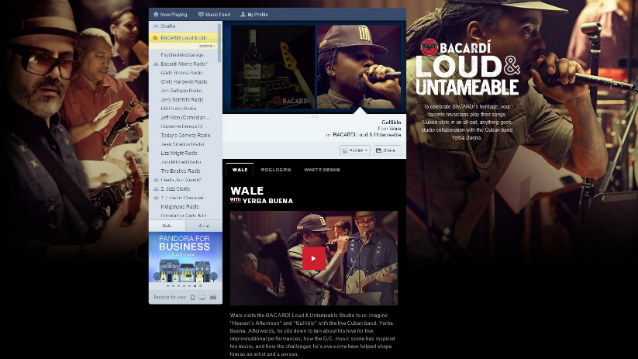 In the meantime, sponsoring advertisers can promote their branded experiences through Pandora ad units. Some take matters into their own hands (Taco Bell being an example mentioned by Browning) by promoting their Pandora integrations in their stores or off-site marketing. Taco Bell uses QR codes on their to-go meals to drive customers into Pandora.